An Empire is a group of planets and star systems that are ruled by the same government and controlled by a single player (or AI). Empires may have a variety of governments such as a democracy, oligarchism, despotism or imperial rule. 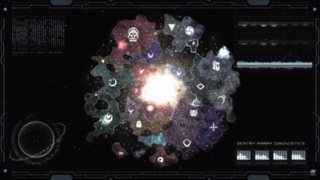 Ethics are the most defining features of a space empire; they affect the behavior of AI empires, likely technologies, available policies and edicts, valid government types, the opinions of other empires, and - perhaps most importantly - provide the fuel for internal strife in large and diverse empires. It should be noted that the name of the player empire and its government structure can always be changed in the government window. Each empire starts with a homeworld that is generated according to a different set of rules than randomly spawned habitable planets. Below is a summary of the different homeworlds and their features. Note that the table shows the number of districts available right at start. Clearing blockers will add to those numbers. Two random +2 districts (depends on authority) Planetary Features are determined by climate but the total number of districts available is always the same. Abandoned Strip Mine Machine Intelligence Does not replace Earth's Planetary Features or blockers. Industrial Wasteland (x2) Life-Seeded civic Increases Earth's size but does not replace its Planetary Features, resulting in a smaller number of specialized District slots. Adds +1 Bubbling Swamp, Crystalline Caverns and Dust Caverns Planetary Features even if the homeworld is Earth. Radiation Zone Post-Apocalyptic civic Does not replace Earth's Planetary Features or blockers. Battlefield Remains Determined Exterminator civic Clearing the Blockers unlocks unique Planetary Features. Great Pacific Algae Tract Sol starting system Earth has its own unique set of Planetary Features and blockers. Changing the climate of Earth during empire creation will have no effect of the Planetary Features. The United Nations of Earth and Earth Custodianship preset empires start on Earth by default. Two random +2 districts (depends on authority) Deneb starting system It is identical to regular starting planets in every way except that its size is fixed at 18. The Commonwealth of Man preset empire starts on Deneb by default. The capital is the ruling seat of an empire and is oftentimes its most important world. An empire's capital can be moved once every 10 years for a cost of 250 influence. The capital is its own planet specialization and gets +5 Stability and +10 Amenities and either +100% Governing Ethics Attraction by default or -20 Deviancy if Gestalt Consciousness. An empire's capital planet and system are marked by star corners on the system and galaxy maps. Empire Sprawl is a measure of an empire's expansion, both tall and wide, and increases the cost of Technologies, Traditions, Leaders and Edicts. Empire Sprawl is increased by 2 for each system, planet and owned Branch Office and by 1 for each district. Empire Cohesion is especially important in games set with a high hyperlane density. Full hyperlane density in particular limits the use of outposts due to every system having on average 6 connections. Sectors are now administrative units in your empire. They are automatically created when an empire colonizes a planet that is not within the boundaries of an existing Sector. The Sector boundaries seem to be created by making the first planet colonized outside of any other Sector the "Sector Capital" and counting up to 3 Hyperspace Lanes away(wormwholes and gateways are not counted), if the systems are within the empires control. Each sector can have a governor assigned to it. If a sector has governor assigned to it, it becomes possible to allocate resources to the Governor to develop the planets within the sector in order to reduce micromanagement. Players can choose to set a focus for them, which will influence their building path: balanced (no special focus), production (focusing on basic resources like energy), manufacturing (focusing on advanced resources like alloys), and research (focusing on research output). As of 2.2, the options on restricting how the sector governor builds have been streamlined to choosing a focus. Previous versions allowed for the sector to be permitted or forbidden to replace existing buildings, requested to respect existing resource deposits, build orbital stations, or to colonize planets available within the sector's borders. Note: Due to the way Sectors are created, your first planet colonized outside an existing sector can make a big difference to its layout. Also, Sectors have the misfortune of becoming fractured irreparably due to war, and roaming hazards that completely destroy system outposts/stations, such as Wraiths or fleets of the Great Khan mini-crisis. Victory score tallies an empire's total accomplishment. The empire that has the highest score when the Victory Year arrives is declared winner. The Victory Year is configurable and can be disabled altogether. The game can be continued past it as well. Unknown, something to do with value of researched techs, perhaps also research production? All players may continue the game session normally even after an empire declares victory. Empire Modifiers are gained through a variety of actions such as event choices or diplomacy with enclaves. They affect the entire empire and as such bring large benefits or penalties. Permanent Empire Modifiers are always positive and last the entire game. They can only be gained through events. We have updated our Evasive fleet stance protocols based on observations of the Space Amoebas' flagella. Amoeba carcasses are rounded up after battle and their internal organs harvested for valuable organic compounds, bringing in 1000 for every fleet destroyed. Fleets regulate radiation venting when approaching Space Amoebas, and the spaceborne creatures no longer recognize us as a threat. Improved transmission mediums modeled after the Crystalline Entities' unique internal structures minimize resistive losses in energy production and distribution. The shattered remains of Crystalline Entities are automatically salvaged after battle, bringing in 500 for every fleet destroyed. Short-wave broadcasts at certain frequencies effectively disguise our fleets as fellow Crystalline Entities, and the spaceborne creatures no longer recognize us as a threat. Using techniques derived from the Mining Drones allows us to efficiently exploit mineral veins previously not deemed worth the trouble. The Mining Drones are obviously mass-produced. A weakness found in one is a weakness found in all. The anomalous nature of the Void Clouds open up new possibilities in physics research. The Void Clouds' charge fluctuates in a rapid but observable cycle. Striking with precise timing dramatically destabilizes the inscrutable energies that animate the entities. These detailed anatomy files on the Prethoryn were given to us by the Sentinels. With their help we have been able to identify several weak points in the exoskeletons of the Prethoryn creatures. Updated targeting data will allow our fleets to bombard Asteroid Hives where their surface armor is the most vulnerable. Military fleets have been instructed to fire at the Ether Drake in a specific rhythm when engaging the dragon. Fleet commanders engaging the Automated Dreadnought have been instructed to target any subsystems that will impair its automation processes. The portal spawned by the Dimensional Horror can be destabilized if we launch pinpoint attacks against certain weak areas. The Infinity Machine's real-time threat update system has one weak spot. It cannot keep up with constant change. We will henceforth assign a crew member on each ship to constantly make calibrations to the ship guns. Our people are praising the gigantic spherical calculator as a sign of the Divines' true power in the world. A processing unit capable of expanding upon itself. This will further enhance our research capabilities. We have gazed into the mirror universe of the Pantagruel black hole, enhancing our research capabilities. We have formed a Covenant with a powerful being in the Shroud and now benefit from its patronage. There will be a price to pay. The inoculations given to us by the Ancient Caretakers have proven of immense benefit, reducing illness and increasing the life expectancy of our population. The changes that the Ancient Caretakers made to our code base have turned out well, and has resulted in an permanent upgrade in resource production capabilities across our whole population. A system enabling us to quickly chart underground terrain and accurately map mineral veins. Renewable Empire Modifiers are always positive and last as long as an empire can afford their upkeep costs. This page was last edited on 14 April 2019, at 22:50.